Genera Energy is an innovative, worldwide company located in Vonore, TN. Genera provides biomass supply systems for the advanced biofuels, biopower, and biobased products industries. That may sound pretty complex but what they really do is simple… they turn crops such as switchgrass, corn, and sorghum into energy. 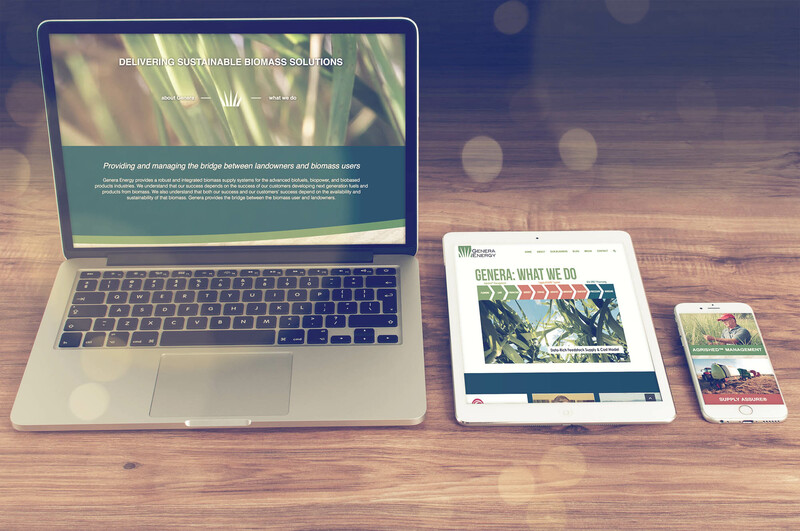 Genera needed a website that could simply communicate what they do in a visual manner without skimping on the science. New Frame Creative developed a stunning front page featuring full-screen video and an interactive infographic which provides a visually appealing, simple way to learn about Genera’s products and services.